Unfortunately another wonderful actor has tragically passed away. 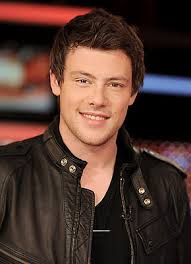 This week, the talented international sensation Cory Monteith of Glee was found dead on Saturday at the Vancouver Fairmont Pacific Rim (Canada) by Hotel staff. He was only 31. Cory will be missed by millions of fans & friends. This week, as a tribute I wanted to give everybody a bit of information about Cory Monteith and his career. As an actor based out of Vancouver, he had minor roles on such television series as Stargate Atlantis and Smallville before an audition tape of him singing "Can't Fight This Feeling" helped to land him the biggest role of his career, Finn on Glee, introducing him to an international audience as a high school quarterback who is at first reluctant to join the high school singing club. In later seasons, the character had graduated but returned as a singing coach. Following his success on Glee, Monteith's film work included the movie Monte Carlo and a starring role in Sisters & Brothers. Cory Monteith used his fame to help set up Vancouver’s Project Limelight. Project Limelight is an organization that provides free theater programming and mentoring to motivated but high risk youth between the ages of 8 and 15. Many of Cory Monteith's fans are currently donating to the non- profit organization to honor his legacy and commitment to the potential that resides in all people. Listen to Cory talk about Project Limelight with Richard Branson. List of TV and Film that you can see Cory work his magic! 2004 Stargate Atlantis Genii Private Episode: "The Storm"
2005 Young Blades Marcel Le Rue Episode: "To Heir is Human"
2005 Supernatural Gary Episode: "Wendigo"
2005 Smallville Frat cowboy Episode: "Thirst"
2005 Killer Instinct Windsurfer Bob Episode: "Forget Me Not"
2006 Whistler Lip Ring Episode: "The Burden of Truth"
2006 Stargate SG-1 Young Mitchell Episode: "200"
2007 Flash Gordon Ian Finley Episode: "Life Source"
2008 Fear Itself James Episode: "New Year's Day"
Episode: "How Do You Solve a Problem Like Roberta?" 2012 The Glee Project Himself Episode: "Vulnerability"
Finally here is a tribute to Cory Monteith of Glee. Listening Practice - A Tribute to Cory Monteith of Glee. Instructions: Listen to the video above and fill in the missing word(s). Once you have filled in the missing word(s), write the meaning of each word. The answers are below. A Tribute to Cory Monteith of Glee. He __________ of millions as Finn Hudson – the __________ quarterback turned singer in hit TV show Glee. __________, Cory Monteith was __________, just months after voluntarily checking himself into __________ for __________. A close friend told Cory was "healthy and in great spirits" just 48 hours before he __________ in a Vancouver __________. Here we remember the __________ star in his most __________ Glee moments. __________ big man. He touched the hearts of millions as Finn Hudson – the dashingly handsome quarterback turned singer in hit TV show Glee. Tragically, Cory Monteith was found dead age 31, just months after voluntarily checking himself into rehab for substance abuse. A close friend told Cory was "healthy and in great spirits" just 48 hours before he died in a Vancouver hotel. 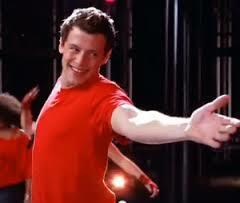 Here we remember the charming star in his most memorable Glee moments. Rest in Peace big man. touched the hearts = to touch the heart(s) of someone = to affect people; to affect your emotions, especially so that you feel sad or sympathetic. dashingly handsome = dashingly adverb form of dashing (adjective) = (for describing men) attractive in a romantic, adventurous way; attractive and impressive in a way that shows confidence. handsome = (for describing men) good-looking. Tragically = tragically adverb form of tragic (adjective) = causing strong feelings of sadness usually because someone has died in a way that seems very shocking, unfair, etc. found dead age 31 = found = discovered. dead = no longer alive or living : no longer having life. age 31 = (formal style) at the age of 31 or 31 one years old. rehab = [noncount] informal : a program for helping people who have problems with drugs, alcohol, etc. — often used after ‘in’ or ‘into’. Ex: ▪ He is in rehab. ▪ She checked herself into rehab. ‘rehab’ is a short speaking style for ‘rehabilitation program’ in this case. substance abuse = (noun) overindulgence in or dependence on an addictive substance, esp. alcohol or drugs. died = past tense of die (verb) = to stop living. hotel = [count] : a place that has rooms in which people can stay especially when they are traveling : a place that provides food, lodging, and other services for paying guests. charming (adjective): very pleasing or appealing : full of charm. memorable (adjective) : very good or interesting and worth remembering. Ex. ▪ a memorable vacation/experience ▪ It was the most memorable line of the play. ▪ She gave a memorable performance. rest in peace = (Latin: Requiescat in pace) is a short epitaph or idiomatic expression wishing eternal rest and peace to someone who has died. The expression typically appears on headstones, often abbreviated as "R.I.P.". Really sorry for this young talented actor. Such an early death is a tragedy.